You can smile with confidence when your teeth and gums are healthy. Some dental tips can help you achieve and maintain oral health. Improve Your Diet. There are some products you should avoid for healthy gums and teeth. Some of the most common examples include sugary products, sticky foods, and acidic foods and beverages. For healthy teeth and gums, fresh crunchy vegetables make excellent snacks. Make sure your diet contains plenty of calcium from dairy products and other calcium-rich foods. Take Care of Your Dental Health. Visit your dentist at least twice each year for a thorough examination and professional cleaning. Contact your dentist immediately if you experience any dental emergency. Never skip your home oral care routines. You should floss, brush, and use a good mouthwash at least twice each day. If you participate in any sport or other physical activity, talk to your dentist about a mouth guard. A mouth guard can prevent serious injuries to your teeth and gums. A mouth guard is also useful if you grind your teeth. Grinding can wear down tooth enamel, and can increase your risk of temporomandibular joint disorder. Whether you use a mouth guard for sports or to prevent grinding, it is easy to use and comfortable to wear when you choose one that fits properly. You can enjoy your favorite sports, and have restful sleep every night, when you wear an appropriate mouth guard. 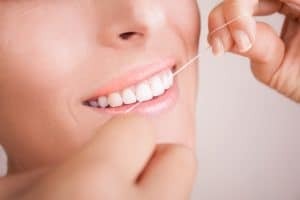 These dental tips can help you avoid many unnecessary problems. It will be easier for you to enjoy your life when you have healthy teeth and gums. You will be less likely to develop oral health problems, and you will always look your best. Every time you talk and smile, you can do so with complete confidence. Great tips, definitely helping us save our teeth!